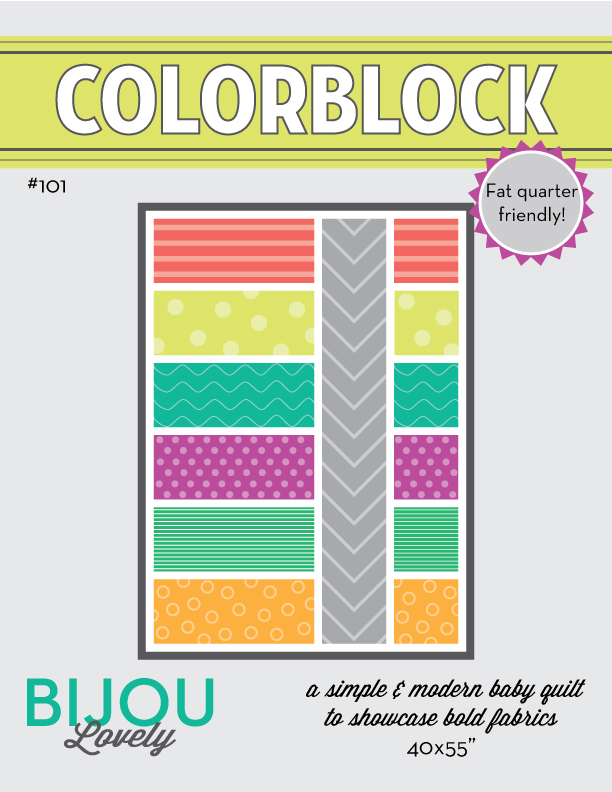 Bijou Lovely: Welcome Fat Quarter Shop! 137 Welcome Fat Quarter Shop! Happy Friday everyone! 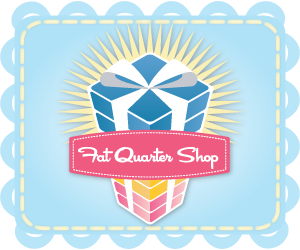 Today I want to introduce my newest sponsor, Fat Quarter Shop! I'm sure you all have heard of this great online fabric store? 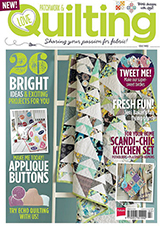 Fat Quarter Shop was founded in 2003 by an avid quilter, Kimberly Jolly. The shop started as a side business run out of her house while Kimberly was still working a corporate position, and grew into a full time operation as the shop's reputation grew. Her husband Kevin and several staff members have joined the team as well over the past few years. The team is committed to delivering top-notch service for every single order and customer, and the shop continues to branch out to offer the best fabrics, exclusive kits, quilt clubs, block of the month clubs, and more. Fat Quarter Shop offers an amazing selection of fabric, including a few new collections I've been coveting! 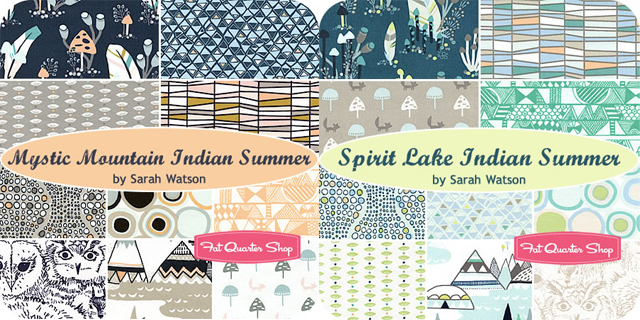 Indian Summer by Sarah Watson is so cute, perfect for a baby boy quilt that I need to make soon! 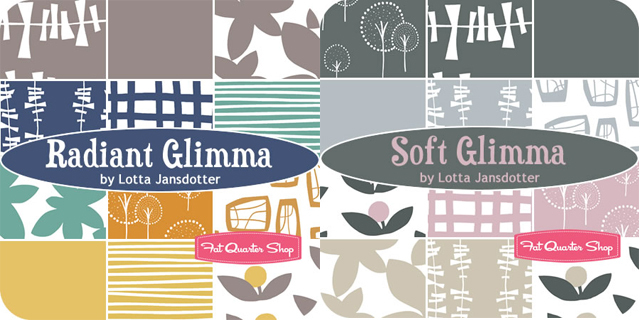 Glimma by Lotta Jansdotter is also in stock. I am always a fan of her prints, and I really love the pinks in this line! 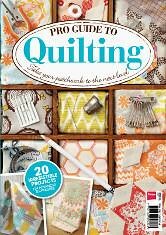 Fat Quarter Shop also offers tons of patterns and books, quilt kits and BOM clubs. 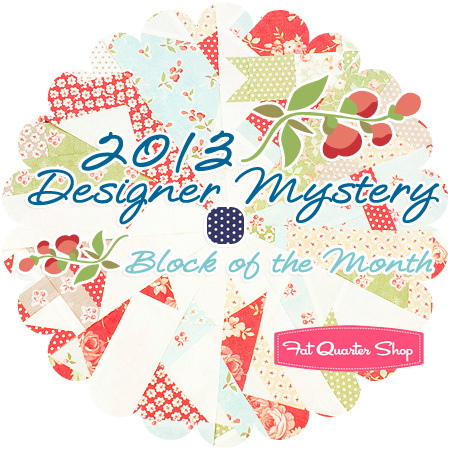 Their Designer Mystery Block of the Month program is filling up fast! Fat Quarter Shop is offering a great giveaway to one of you today, a Fat Quarter bundle of Urban Mod by Art Gallery Fabrics in your choice of colorway, Downtown Vixen or Street Siren! This is a gorgeous collection featuring fresh colors and lots of modern prints! To enter, simply leave a comment on this post! Tell me what you're doing this weekend, what you'd make with this collection, or what you're most looking forward to this spring (or really, anything else you want!). Please make sure to leave a way for me to contact you in your comment, or you will not be eligible to win. I will pick a winner next Tuesday (4/9). 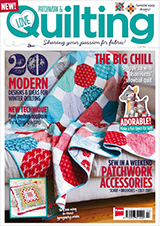 You can keep up with the crafty happenings at Fat Quarter Shop on their blog, YouTube, Pinterest, Facebook, or Twitter. 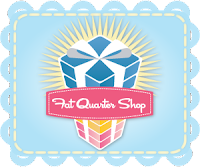 Thank you so much Fat Quarter Shop for your support! Update: This giveaway is now closed. Congrats to our winner, B Greene! Thank you all for entering! Great giveaway! I'm planning on becoming one with my seam ripper and re-doing a quilt top that I'm not happy with. I'm looking forward to farmer's markets and the children's sense of awe and wonder as the world turns green! Thanks for the chance to win! I'm doing a 5k tomorrow and hoping to maybe get some time in on a tshirt quilt I'm working on. I love that fabric! I am looking forward to my little sister's wedding next Saturday! I'm running a 10 mile race this weekend, and then hopefully recovering with lots of quilting! Thanks! I shall be watching my youngest son play rugby! Such great fabrics! I am stitching the winter away, lol! Really I am still stitching on my snowmen quilt! Buildine vegetable beds in the back gardens this weekend ! LOVE FQS - her service is the greatest ! I will be finishing the pixelated heart wall hanging quilt for a bride a groom! Yay! It's almost finished! Waiting for Happy Mail, Out to Sea and Madrona Road. Checking out my local quilt shop for the first time! I'm looking for fabric for the modern low volumn swap and a FQ swap. After all that I would love to start on an x plus quilt. I love yours! 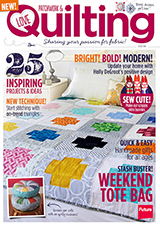 Or make another herringbone quilt, love your tutorial! Thanks for the chance to win! Love this line, it has some great prints for my husband quilt I have in mind. Awesome fabrics! I will be starting to cut a kaleidoscope quilt out for our camper bed. Hopefully get some sewing time in too! Love the fabrics. Thanks for the giveaway. I'm in need of some throw pillows and these fabrics would be perfect. weather permitting we are working in the backyard this weekend...getting the raised beds ready for gardening this summer! thanks for a chance, i love fat quarter shop! Beautiful fabric. I'd get going on a quilt for a grandchild if the fabric comes my way. Am visiting a new grandson this week end & will see lots of family. Thanks to you and FQS for hosting the giveaway. I am jumping on the xplus bandwagon but this weekend it will have to wait because I need to plant spring vege seeds and go to a baby shower this weekend. FQS is my first choice for buying fabric overseas !!! That fabric is really nice! I will be going to check it out. I will be doing some work and hopefully a bit of sewing this weekend. Should be good. Beautiful! I adore AGF fabrics-they are so soft! I'm workin on my first quilt this weekend. What a wonderful giveaway. I just love this collection. I've a busy weekend planned. I am hoping to finish a cushion I started yesterday, make the second block for my swoon quilt while fitting in lots of family time with all my boys. Love this collection! I'm really looking forward to some beautiful spring weather this weekend!!! Thank you so much for the giveaway! Not a lot of time to sew this weekend, but I am spending Sunday at my sister's house and we hand sew or craft together, so I'll be working on paper hexies while I'm there! What a great giveaway! I am planning on starting a picnic quilt. Thanks for the chance to win! Awesome giveaway! I love the Fat Quarter Shop! Besides my usual weekend chores I hope to finish up a mini quilt I have been working on. I will be putting a border and basting my scrappy trip a long. Well, I'm sad to say I'm currently in the midst of a wee blizzard, which is dumping even more snow on the piles we already have. The weekend forecast is for more snow. Flurries. Highway travel not recommended. Our house is a construction zone and my usual sewing space and supplies are covered in plastic. It's very hard today to "keep my eyes on the prize" of a new bathroom/kitchen and ... spring. These fabrics that I would make into a quilt (when I get my sewing space back), would sure brighten my world. Would love any of the fabrics shown, such pretty colors and designs. I can't wait to open up all the windows and French doors and the the fresh air in!! I'll be outside this weekend, enjoying the spring weather that has finally arrived! I just got my machine back from the "spa", so I'll be sewing together all the projects I cut out during my last few weeks of separation anxiety! :) Thanks for the giveaway! This weekend? 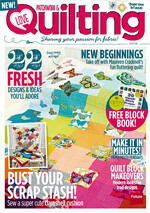 Quilting, of course! I decided to get brave and free motion quilt my current project. I've only free motion quilted baby quilts and pillows so far, but this is a full size quilt, yikes! I'm keeping this one for myself, so it's good practice, even if it's not perfect. Wish me luck! Thanks for hosting the giveaway! I'll be cleaning out my basement to make a dedicated usable craft/sewing space! Well, um, actually I think we have a pretty nice little Saturday, we're going to go to Home Depot. To buy some wallpaper, maybe get some flooring, stuff like that. Maybe Bed, Bath, & Beyond, I don't know, I don't know if we'll have enough time. 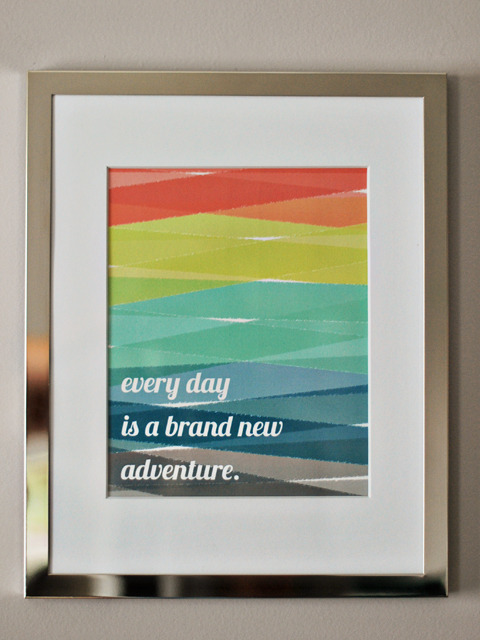 Love everything geometric so this is definitely for me! my boys are with their Dad this weekend so I am going to finish a quilt, work on my cross stitch and try to get a few of my Star BOM blocks done as I'm way behind! Thanks for the give away! This weekend we have no softball games (Yay!!) so Chris is going to smoke some ribs, I'm going to sew, the kids are going to play and read and rest. So glad for a quiet weekend! Oh, I so love this fabric! This weekend I am doing yard work, yea!, and sewing! I would love to make a gorgeous quilt out of this fabric. Thanks for the chance! Beautiful! I'm closing up my bricks and mortar store downtown this weekend! :( Time to bring it back home. Thanks for the giveaway! I'm just glad the sun is shining and it's warm outside! Unfortunately I'm not sewing this weekend as I've got an assignment to finish. I've got my sister's bachelorette party this weekend (and can hopefully sew the flower girl dresses too...?). Thanks for the giveaway! Unfortunately I'm going to a memorial service this weekend, but I also plan on doing some sewing therapy. Hmmm, last weekend of spring break so I will sew, get organized for school to start back up and do a little work here and there! Thanks for a chance to win! Love the Fat Quarter Shop! This weekend I'll be cohosting a dinner party to celebrate my Mom's birthday. Won't tell you which one or she'll get mad at me! This weekend as usual I am quilting :) and also hiking a mini mountain! I've got my local Spinning Guild meeting this weekend, so I'm super excited for that! I'm hoping to do some quilting this weekend and hopefully putting together some raised garden beds. If I won the beautiful fabric I would use it to make a quilt for my son't school Spring auction. Thanks for the chance and have a great weekend!!! I'm finishing a baby quilt and wedding planning! This weekend I agave my guild meeting so will be tackling my giant swoon and my Handstitched medallion quilt. Both have been stagnating for weeks, so will be good to get a little further along with them. I love those blue-greens! Nice collection. I'd quilt them for sure, thanks! My weekend is off to a great start. I found out today that my first grandchild is going to be a girl!! Now to get going on that quilt. off to help a friend with a 'drab to fab' clothing workshop she is teaching, and I am looking forward to making a few small art quilts this spring. I think I'd make a bunch of pillows - great collection! Lovely giveaway :-) This weekend I am trying to make two pillow covers for birthday presents. With the Urban Mod fabric I would make a wedding quilt for my niece. Thanks for the chance. Lovely fabrics! I'd make a throw quilt with them if I were the lucky winner. Thanks for the lovely giveaway & congrats on having FQS as a sponsor. What a generous giveaway! Beautiful fabrics. I'd incorporate the fabric into my quilts--I love the scrappy look. I hope to do some piecing this weekend. Hope you enjoy yours! We are going to Ikea today! We will see if my hubby can keep the smile on his face ;-) Thanks for the giveaway! This weekend I am taking my beautiful treadle machine to a wonderful man to restore and repair it. I am really excited and I am going to show him my hand crack singer machine too - this is a working model with a few missing accessories. This weekend, my beautiful baby boy and I are going to a mommy & me photo shoot; then since it's a rainy day maybe I'll get a quilt top finished! Thanks for the chance to win! I have a bit of housework to do, a 3 year old's birthday party then dinner with some old friends. I had a full day to quilt and sew earlier in the week so have to play catch up with chores. Feels like spring here - high 70's with sunshine! I am finishing up two charity quilts this weekend. I would use this fabric to complete a project. I am putting fabric on the back wall of some glass door cabinets and this would look awesome. We are putting new lights in our entryway and front closet today. This weekend is my youngest daughter's dedication at church, followed by lunch with family and friends at our house. So today (saturday) is CLEAN UP NOW day! Have to do report cards this weekend, but my reward for getting them done will be sewing a new clutch! Wow! What a fab giveaway! This weekend ill be finishing up a bunch of projects for my wedding next month (!) making clutch bags for my bridesmaids and bunting for the venue. I might try and finish off my AMH field study scrappy trip quilt too.... If I don't get roped into maple syrup boiling by my fiancée! Great fabric! I'm spending the weekend with my mom. I'm going to make her some placemats and napkins for her... This fabric would be perfect too! My grand-daughter is coming to visit today so besides holding some baby chicks I have just bought we will spend time doing some sewing, maybe some doll clothes for her American Girl doll. Thank you to Fat Quarter Shop for this lovely bundle. They would make a nice tablecloth for my table. I am doing some banking paperwork, finishing tax reviews, and writing for my blog. I'm working on finishing 2 of my older quilt tops this weekend. The first is done & in the washer. Now for the other one, I have to sew some batting together & make the back. Thanks for the chance to win. jleekamitchell(at)yahoo(dot)com. Great giveaway - i've just been to our local quilt show with some friends, a great laugh and a little bit of fabric came home with me. Looking forward to our house extension being finished this spring! Today I read,cooked and baked and also I pend the day with my sister in law and family. Thanks for the giveaway and your sponsor.I`d love to do a lap quilt for me.Thanks for the chance!! I've been sewing all weekend! I'm catching up with my Bee blocks and a Quilt Along. What a great collection, thank you for the opportunity to win something. I think I'd make a tablerunner first and possibly pillows to match :-). I'm looking at houses this weekend! What lovely fabric!...I could see them in any number of beautiful modern quilt projects. Today is like most Saturdays attending to house hold chores with some fun sewing time in the evenings. Hope I am drawn! I had a great time with 2 of my grandsons who came over for a little while. Looking forward to spring coming soon! The snow is melting and the birds are singing!! I'm looking forward to the warmer spring weather...winter has been too long! What a generous giveaway! We spent the entire day driving home from our trip to Disneyland. Tomorrow will likely be laundry day! I've been busy with family and church activities, but I took a crafting/sewing break to peruse blogs! Glad I did! I love FQS. I am working on a quilt for my grand daughter. She was a premie so I'm way behind on getting it done. But she arrived safely and is doing wonderfully so I'm fine with being late with her quiilt. 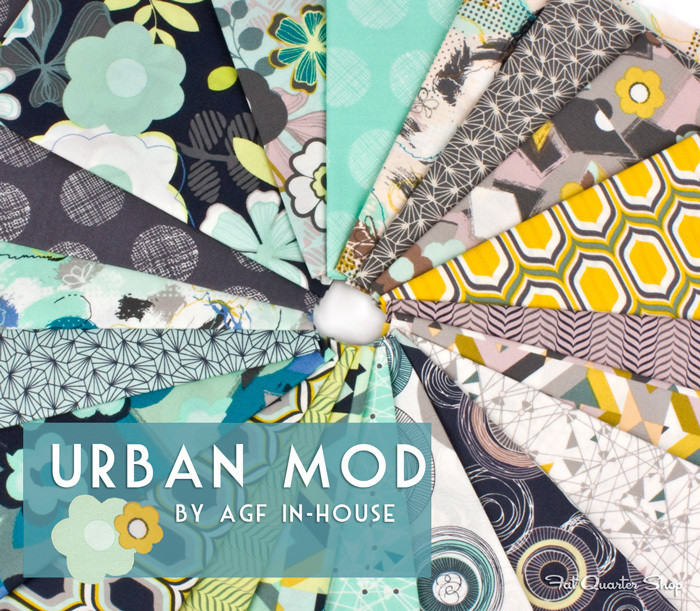 I'd love to win the Urban Mod fabrics, they are so fresh. Great giveaway--looking forward to making something super special with the collection. Spent the weekend with all my favorite peeps, an oh, so, fun, family gathering! Heading home this evening feeling refreshed and ready to belly up to my machine again! Love fat Quarter Shop!!! Thanks for the chance to win! I live in DC so I look forward to the cherry blossoms, but they're a bit behind schedule this year. Hosted a long-overdue dinner party last night for friends. So lovely to see everyone again! And today, hopefully, a little work on a wall quilt in the sunshine. 1) I LOOOOOVE this fabric line - teal, yellow, gray. Does it get any better? Thanks for the give away...these fabrics are gorgeous, as is everything on your blog :). Looking forward to spring weather and the gorgeous wildflowers we get around where we live. And spring sewing of course...bring on the color! I would make a few pairs of quick change baby pants with the indian summer collection for my son due in July! I have about 8 pregnant friends, need to make tons of baby quilts!! This would be gorgeous! 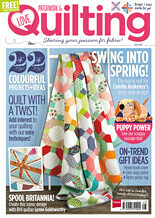 I can't wait for the Spring Quilt Market and all the exciting blog posts sharing stories and fabric collections! Great fabric line! I would make a fun quilt. Thank you Fat Quarter Shop for the giveaway! I love the colors in Urban Mod! I'd definitely make a quilt with them. This weekend was half outdoors doing yard/house work and half indoors (more housework!) making the binding for a king-size quilt I'm finishing. I also, love the colors of Urban Mods, and I love the Fat Quarter Shop. They have great selections and service. I went to my daughter's color guard competition. Designed a quilt and worked on EQ7. This weekend I went to a baby shower and did some cleaning in my attic. I'm so looking forward to spring so I can plant annuals and plant my garden. Looking forward to some fresh tomatoes this summer. Thanks for the great giveaway! I went to the Skagit Valley Tulip Festival this weekend. Got completely drenched in the rain but I did get some pretty great photos! I'd love to make a quilt for our sofa out of these lovely fabrics. Thanks for the chance to win! What lovely fabric. I would add it to a quilt I'm making for my parents' anniversary that I started this weekend. Thanks for the giveaway! LOVE this fabric SO SO much!! I made a cute little bag this weekend out of some fun fabric I found at discount. 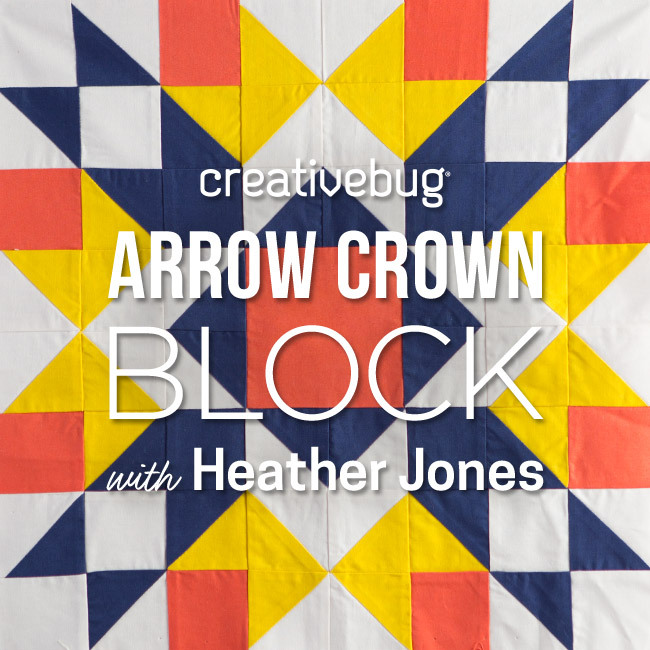 Beautiful fabric and your Clementine quilt looks wonderful. Which stitch setting do you use for straight line quilting on the Horizon? Do you adjust any of the tension settings? I would make a quilt for my mother. Terrific giveaway, thanks for the chance to win! I love the Fat Quarter Shop. This weekend I've been doing all the laundry that somehow accumulated over Spring Break and now I'm trying to tame clutter by Spring Cleaning! Love your blog! Thanks for always sharing your cute ideas and quilts! HELLO! I'D MAKE SOMETHING SPECIAL LIKE A NEW QUILTED THROW FOR MY SISTER! THANKS to the FQS+YOU FOR SHARING!